It would seem that sanctions should be enforced and the Revolutionary Guards (IRGC) placed on the U.S. list of Designated Foreign Terrorist Organizations -- to show that the U.S. stands for human rights, protects the innocent and tries to save the lives of those sentenced to death by Iran's corrupt government. Bills to sanction Iran that are being presented in Canada or other Western countries are, in fact, receiving scant attention. Canada has been talking about reopening its Iranian embassy, and pro-Iran advocates, such as the Iranian Canadian Congress, are pushing back against legislation that condemns Iran. Would any modern Western country really wish to appear to be on the side of this barbaric regime, or in any way to assist it? A subtle, but dangerous force is spreading throughout the West. It has been seeping into the United Kingdom, Canada, Australia, the Middle East, the United States, South America and much of Europe. They are pro-Iran regime advocates. They appear to be Westerners, but pursue a unique agenda. Under the guise of being average Western citizens, they have been infiltrating the social, political, economic and religious sectors of most Western societies. These are not my words. 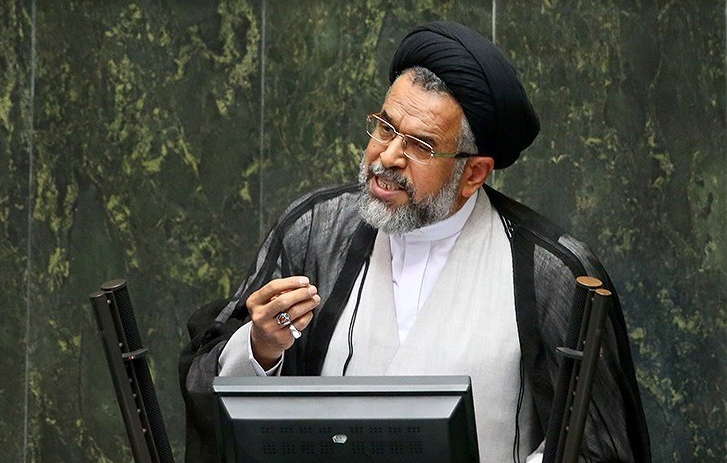 They came directly out of the mouth of Iran's Minister of Intelligence, Mahmoud Alavi. In a rare, recent interview on Iran's state media, he stated that many Westerners with a dual citizenship "have a lobby group for the Islamic Republic of Iran." "We should not accuse them and say things that discourage them about the ancestral homeland, this is not good, and losing this capital is not good for the regime... It is wrong to say that all dual nationals are traitors, spies, or foreign agents; many of these dual nationals love Iran, and are a capital for Iran. "Many who live in Canada, London, or the United States [are devoted] to the [Islamic] revolution and the supreme leader ... In those places some attend religious ceremonies. [Those people] love the [Islamic] Revolution." 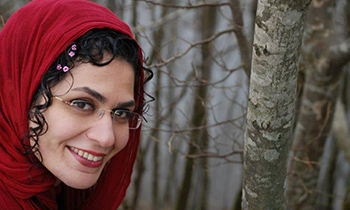 Not long after Alavi's remarks came to light, an Iranian-born Canadian was arrested in Washington state. "An Iranian-born Canadian arrested in a Washington city on the U.S.-Canadian border has been charged with conspiring to ship a piece of testing equipment used to calibrate missile guidance systems into Iran. "Federal prosecutors claim Ghobad Ghasempour and two other men smuggled restricted items out of the United States to Iran through China. Ghasempour was charged Tuesday by federal prosecutors in Washington, D.C."
This is not an isolated incident. It has been part of an growing trend. Is it fair to eat the fruit of the West, while at the same time promoting the Iranian regime that keeps repeating "Death to America"? Those who appear to pursue appeasement policies toward Iran seem to focus on two issues: preventing any new sanctions on the Iranian government and maintaining the nuclear agreement (JCPOA) that will enable Iran soon to have nuclear weapons and the missiles to deliver them. In Canada, for example, the Senate is currently taking into consideration the Bill S-219, "An Act to deter Iran-sponsored terrorism, incitement to hatred, and human rights violations" (to be named the "Non-Nuclear Sanctions Against Iran Act"). If the bill is passed, it would impose at least some economic sanctions on the Iranian regime for its unspeakable human rights abuses. Iran still boasts pride of place as the world's leading state sponsor of terrorism, according to according to the U.S. Department of State. Iran is also the number one country, per capita, when it comes to executions. The Iranian regime executes children, gays, lesbians, human rights activists, and, it seems, anyone who disagrees with it. Its abuses go beyond murdering its own citizens. The Iranian regime suppresses every freedom of its people, by torturing, imprisoning, beating and killing them. Iran persecutes religious and ethnic minorities, and leaves only one choice when it comes to religious belief, which is the same as no choice at all. The country in the grasp of an iron fist; because of this, the majority of its people are silenced. It would seem that sanctions should be enforced and the Islamic Revolutionary Guards Coprs (IRCG) placed on the U.S. list of Designated Foreign Terrorist Organizations -- to show that the U.S. stands for human rights, protects the innocent and tries to save the lives of those sentenced to death by Iran's corrupt government. One would think that such bills would pass easily in any Western government that hails about human rights and freedoms. Right? Not so fast. "Global Affairs Canada states its position that Bill S-219 (Non-Nuclear Sanctions Against Iran Act) would hinder the re-establishment of diplomatic relations with Iran. The Iranian Canadian Congress has expressed its concerns about Bill S-219 since the bill was first introduced to the Senate....We have also consistently asserted that this bill directly contradicts the Government's stated intention to re-engage with Iran by placing legislative and diplomatic hurdles before this process. In a recent letter to members of the Senate Foreign Affairs Committee, Global Affairs Canada has agreed with our position regarding S-219. "With the opposition already formed in the Senate against S-219, we have a golden opportunity to block this bill at the Senate Chamber. Currently we are contacting all Honourable Senators to once again ask them to take into account all evidence and expert advice provided in opposition to the bill and vote against Bill S-219 when it comes for a vote at the Senate Chamber. We need all supporters of peace and diplomacy to help us and take action against these proposed sanctions on Iran. In the next few days we will issue an announcement about next steps that can be taken by community members." It is critical to understand that the Iranian government needs these appeasement policies, including the so-called "nuclear deal", and that it needs the West to turn a blind eye to Iran's human rights records and military expansionism. Those who appear to pursue policies of appeasement toward Iran often attempt to justify them by arguing that they will benefit the West. Or they will argue that sanctions against Iran's human rights violations will harm the West. On the contrary, continuing the nuclear agreement and the appeasement policies are what have harmed the West, by providing the Iranian regime with billions of dollars in extra revenues as well as enhanced global legitimacy. And what does the Iranian regime do with this Western favor? It has been transforming this gift from the West into funds for promoting anti-Western sentiments, anti-Americanism and anti-Semitism; for suppressing and murdering its own people, sponsoring terrorism around the globe, and promoting Islamist ideals. As Iran continues to flaunt its determination to engage in human rights violations, cruelty, terrorism, torture, and murder, Western governments should act; Western funds should at least stop flowing into Iran, lending its militia legitimacy and supporting actions that should not be tolerated. Would any modern Western country really wish to appear to be on the side of this barbaric regime, or in any way to assist it? Dr. Majid Rafizadeh, a world-renowned businessman, political scientist and Harvard University scholar, is president of the International American Council on the Middle East. He is also the author of "Peaceful Reformation in Iran's Islam". He can be reached at Dr.rafizadeh@post.harvard.edu. Absolutely correct and well-written: "As Iran continues to flaunt its determination to engage in human rights violations, cruelty, terrorism, torture, and murder, Western governments should act; Western funds should at least stop flowing into Iran, lending its militia legitimacy and supporting actions that should not be tolerated. Would any modern Western country really wish to appear to be on the side of this barbaric regime, or in any way to assist it?" For those who doubt the real intentions of emissaries from Iran, I would suggest a cursory examination of the conduct of that government regarding its own citizens. Photographs and videos of executions of any and all who contravene its barbaric " justice" system, should leave no doubt in the mind of any civilized citizen that this country, and countries that follow the same ideology, are wicked, cruel and demonic. Does anyone really believe that the Iranian representatives who are currently in the West, attempting to subvert our weak minded government officials, differ in any substantive way from their fellows back in Iran? It is shocking that our government officials not only fail to detect - and stop - the subversive activities of these agents of Hell, but by not doing so, and by failing to condemn, they are sentencing the innocent victims of this monstrous government in Iran to non stop, cruel, and unjust persecution.